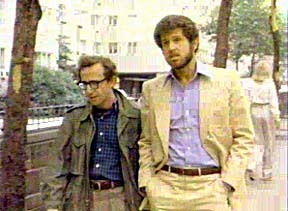 Alvy Singer is a neurotic. 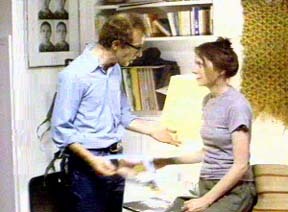 He is also a comedian and the boyfriend of the equally eccentric Annie Hall. 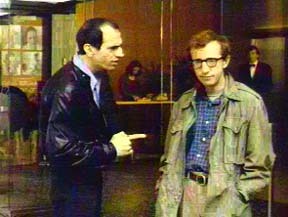 After a sudden break-up, Singer undergoes a “stream of consciousness” that recapitulates the trials and tribulations of his relationship with Annie in an attempt to deduce “what went wrong”. 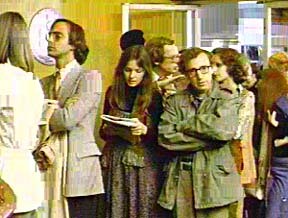 This wacky, off-beat comedy features animation, montage, personal testimony and other quirky oddities appropriate to a Allen film. 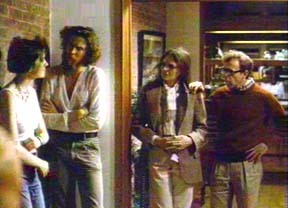 With “Annie Hall”, writer/director Woody Allen delivered his romantic comedy masterpiece. 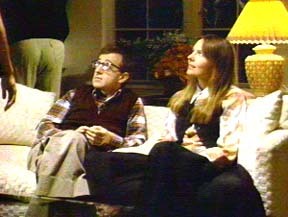 The cast includes: Woody Allen, Diane Keaton, Tony Roberts, Paul Simon, Shelley Duvall, Carol Kane, Collen Dewhurst, Christopher Walken, and Janet Margolin. Five Oscar nominatios; four wins (Best Picture, Best Director, Best Actress, and Best Writing). 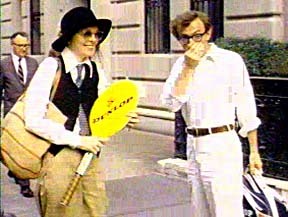 The basic story involves a neurotic, Jewish, stand up comic, Alvy Singer (Woody Allen) and his developing relationship with a daffy WASP, Annie Hall (Dianne Keaton). As the comedian’s career progresses, so does his relationship with the spaced – out woman, who also grows as well in her career, and in her intellectual ability and talent. 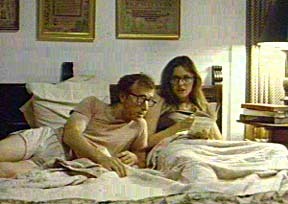 Annie Hall is a great date movie because it shows the whole life span of a relationship, from the excitement of a beginning romance to the last throws of a mismatched relationship. 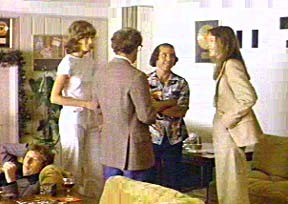 If you were dating or had a relationship during the 1970’s, this film will bring back many memories. 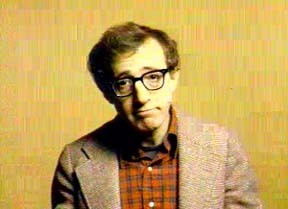 In between incidences in this relationship journey, Alvy’s past experiences with old relationships, family, and experiences growing up that effected how he now behaves and thinks, are creatively intermingled in the tapestry of the story, much to the enlightenment and entertainment of the audience. It has many great moments, the pacing and editing are fabulous, and the script is very clever. 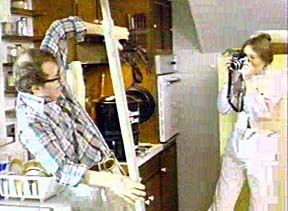 One of the beginning scenes of their relationship takes place on the patio of Annie’s city apartment, where Alvy and Annie are talking about photography. As the conversation continues, underneath the picture there are subtitles of what each is really thinking. 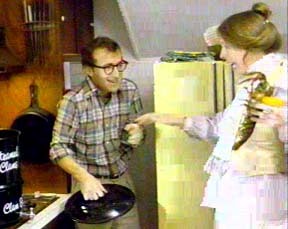 Other Hilarious scenes involving lobsters, spiders, elementary school, driving in California, living under a roller coaster, and attending a big family dinner at Annie’s house, are among some of my other favorite scenes. 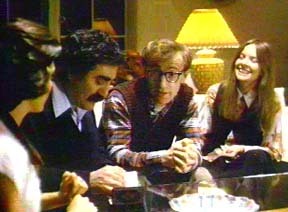 Alvy is Jewish, and of course the main course is ham!! 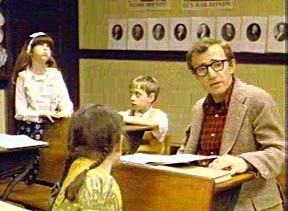 Another favorite scene involves Woody, Keaton, and Walken. 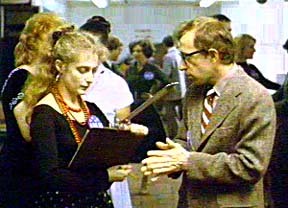 Walken plays Annie’s brother, Duane. 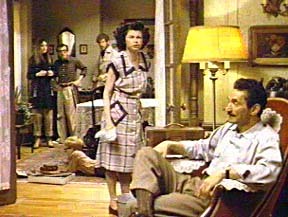 The three are in Walken’s room, after eating a big family dinner. 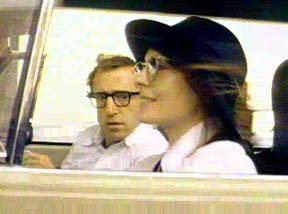 When Annie leaves the room for a minute, Walken, in an intense mood, asks Woody if he ever gets the impulse, while driving at night, to swerve into the oncoming traffic. The scene quickly shifts to a car, at night, in the rain. 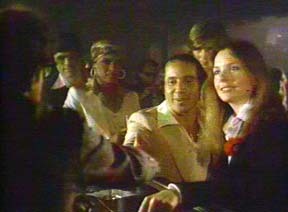 In the front seat we see Walken behind the wheel, fixated on the road, with a weird stare as they drive along to the airport. 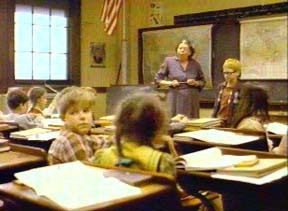 Keaton is in the middle, happy and oblivious, thinking about her day tomorrow. 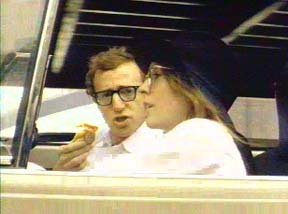 The camera then pans to a bug-eyed, terrified Woody riding shotgun. Some future stars pop up in small roles. 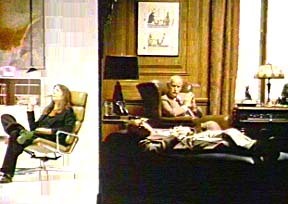 Alert viewers will spot Sigourney Weaver, Beverly D’Angelo, and Jeff Goldblum. 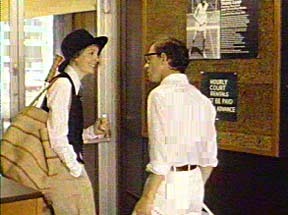 In addition to winning best picture, “Annie Hall” won Oscars for actress (Keaton), Screenplay (Marshall Brickman and Allen), and Direction (Allen). 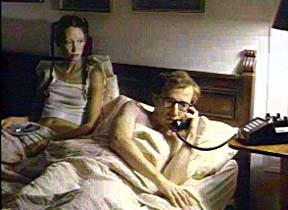 If you enjoyed ANNIE HALL you may like WHEN HARRY MET SALLY, YOU’VE GOT MAIL, and/or SLEEPLESS IN SEATTLE.